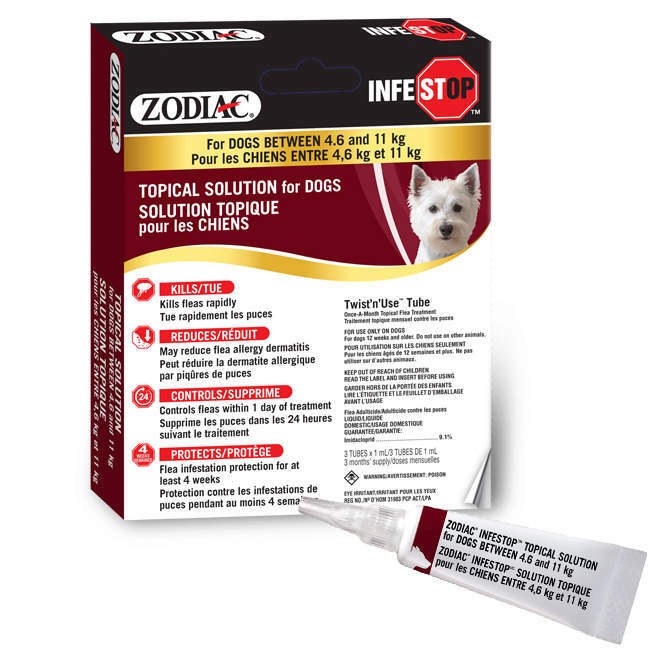 If you prefer the use of topicals, ZODIAC® Infestop™ for Dogs offers an easy to use, effective and economical alternative. These products are designed to be used Once-A-Month. FOR USE ONLY ON DOGS.